SAN FRANCISCO – California consumers saved roughly $4.3 billion on electricity costs and the earth’s atmosphere was spared of more than 2 million metric tons of carbon pollution in the past 12 years, thanks to energy efficiency measures taken by 38 of the state’s publicly owned utilities, but there is significant opportunity for more savings, according to a report issued today by the Natural Resources Defense Council. “Powering Forward: Publicly Owned Utilities Are Critical to California’s Energy Efficiency Progress” details the efforts of 38 publicly owned utilities, or POUs, which are locally owned government agencies delivering power, to save energy and money through efficiency programs since they began formally reporting their results in 2006. The POUs have invested almost $1.6 billion in efficiency programs since then, yielding $4.3 billion in total benefits or approximately $3 billion after accounting for the cost of the programs, a return of nearly $3 for every $1 invested. If the POUs achieve their cumulative 2018-2027 energy efficiency targets, they will save an additional 8,000 gigawatt hours (GWh), enough electricity to power nearly all the homes of Los Angeles for one year and avoid nearly 3 million metric tons of carbon dioxide pollution – equivalent to the annual emissions from more than 500,000 cars. But substantial additional savings exist. If all POUs were to scale up to the national benchmark for aggressive efficiency efforts, they could save nearly 50 percent more than what they currently adopted as their 10-year targets. That translates into cutting enough electricity to meet the needs of nearly two million homes for one year (600,000 more households than with the current targets, alone) and reducing pollution equivalent to the annual emissions spewed by 260,000 more cars. “Publicly owned utilities, which provide power to almost one-quarter of California’s population, play a critical role for the state’s climate action and for ensuring affordable electricity service. 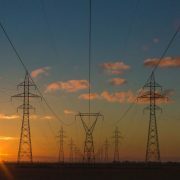 While many POU efficiency programs have had great successes, all utilities need to scale up if California is to reach its climate goals and keep electricity bills as low as possible,” said report author Lara Ettenson. The NRDC report establishes that along with saving customers and utilities money, creating jobs, and protecting public health, POU efficiency achievements are crucial to achieving California’s recently expanded ambitious climate policies to cut the state’s greenhouse gas emissions to 40 percent below 1990 levels and double energy efficiency savings by 2030, as well as to become carbon neutral by 2045. – Avoided carbon emissions equivalent to eliminating harmful pollution emitted by more than 430,000 cars for one year. – Saved 6,500 GWh of electricity and avoided the need for two large, 500-megawatt power plants. Last year, alone, they helped their customers save $850 million on electric bills, cut 1,000 GWh of electricity, and avoided the equivalent annual pollution from 65,000. – Scaling up savings by exploring new ways that efficiency programs can serve every type of customer, from residential to industrial as well as those that are harder to reach, like rural communities and people or business owners who primarily speak a language other than English. – Making sure programs are evaluated periodically. – Expanding services for low- and middle-income customers. – Improving the current efficiency target-setting process by clearly defining which assumptions are being used to set those targets and why. The 38 POUs analyzed for this report are Alameda, Anaheim, Azusa, Banning, Biggs, Burbank, Colton, Corona, Glendale, Gridley, Healdsburg, Imperial Irrigation District, Lassen, Lodi, Lompoc, Los Angeles Department of Water and Power, Merced, Modesto, Moreno Valley, Needles, Palo Alto, Pasadena, Pittsburg, Plumas Sierra, Port of Oakland, Rancho Cucamonga, Redding, Riverside, Roseville, San Francisco, Shasta Lake, Silicon Valley Power, Sacramento Municipal Utility District, Trinity, Truckee Donner, Turlock Irrigation District, Ukiah and Vernon. Report: California’s publicly owned utilities making great energy efficiency strides, but significant potential remains, by The Natural Resources Defense Council, Lake County News, October 16, 2018.